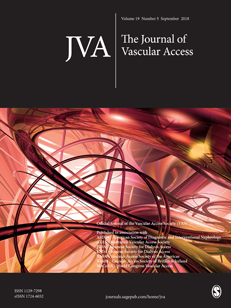 The JVA considers the publication of original manuscripts dealing with clinical and laboratory investigations in the fast growing field of vascular access. In addition reviews, case reports and clinical trials are welcome, as well as papers dedicated to more practical aspects covering new devices and techniques. All contributions, coming from all over the world, undergo the peer-review process. Access to the JVA is part of VASBI membership. Once you are registered as a member you will have full access to the latest journal as well as past editions. If you'd like to become a member of VASBI, please click the link below. © Copyright The Vascular Access Society of Britain & Ireland (VASBI). All rights reserved.